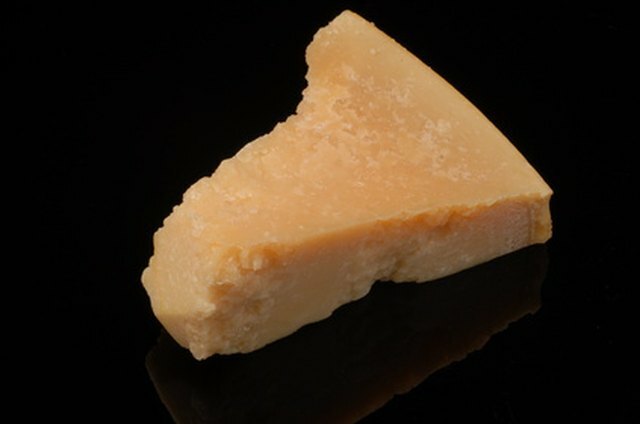 Parmesan cheese originates from the city of Parma in Italy. It is aged for about two years and has a hard, sharp, rich flavor. Parmesan cheese is commonly used in Italian dishes like fettuccine Alfredo, chicken parmesan and lasagna, to name a few. Some recipes require the cheese to be melted, but melting parmesan is a somewhat fiddly process. Patience, time and a quality cheese is essential in ensuring it will melt and produce the intended flavor. Purchase parmesan cheese that is of high quality. 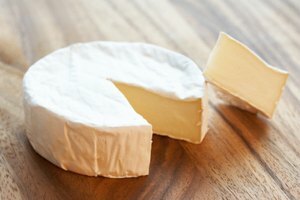 High-quality cheeses are those that are in blocks and can be found near the deli counter or around the international foods section at the grocery store. The parmesan cheese sold in the can will not melt as it has been processed several times to prevent clumping and therefore is prone to resist melting. 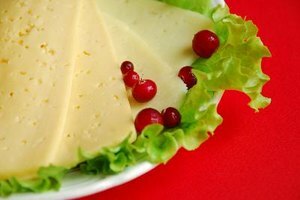 Allow the cheese to reach room temperature before grating to lessen the time it needs to be exposed to heat. Parmesan cheese has a very high protein content and lacks moisture. Therefore, prolonged heat exposure will cause it to become rubbery, a mistake that cannot be undone. Grate the parmesan cheese using the finest side of the grater. 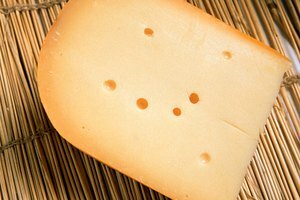 Parmesan is classified as a smooth melting cheese. To help it reach this potential, grate the cheese finely. Blend in the grated cheese slowly, if you are making an Alfredo or a basic parmesan cheese sauce. 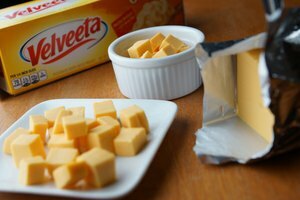 Add small amounts of grated cheese, to your base at a time, while stirring constantly. Keeping the heat exposure to a minimum. Keep in mind that once again, due to the lack of moisture in parmesan cheese and high protein content the cheese will only melt to a certain degree after that it will become rubbery. Therefore, for meals such as lasagna or chicken parmesan, where the parmesan cheese is the topper sprinkle the cheese on during the last minutes of baking, just enough for it to melt. Combine parmesan cheese with higher moisture cheeses like ricotta or mozzarella. The combination of these will result in counteracting the issue that occurs when parmesan is exposed to heat for too long. These combinations of cheese are common in lasagna or stuffed shells, which need to be baked for a period of time. 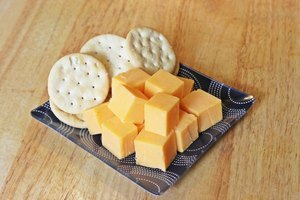 Line a baking sheet with parchment paper if you wish to make cheese crisps using parmesan cheese. Bake the cheese crisps just until melted about five to six minutes at 350 degrees. In using the parchment paper it allows easy removal of the cheese crisps when finished. In addition, parchment paper will not take any of the moisture away from the parmesan cheese.